Home baby bestoutofwaste creative dailythings design DIY Girls hacks Interesting interior knowledge recent slider How to Create Best Crafts for Kids Using the Waste Things around Us? 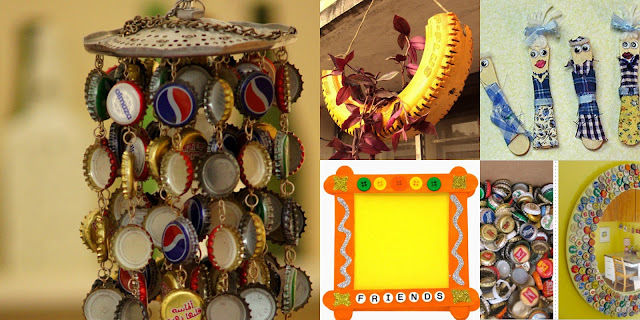 How to Create Best Crafts for Kids Using the Waste Things around Us? Here are some best out of waste ideas for kids, which will help you get rid of all that junk and also keep them occupied. 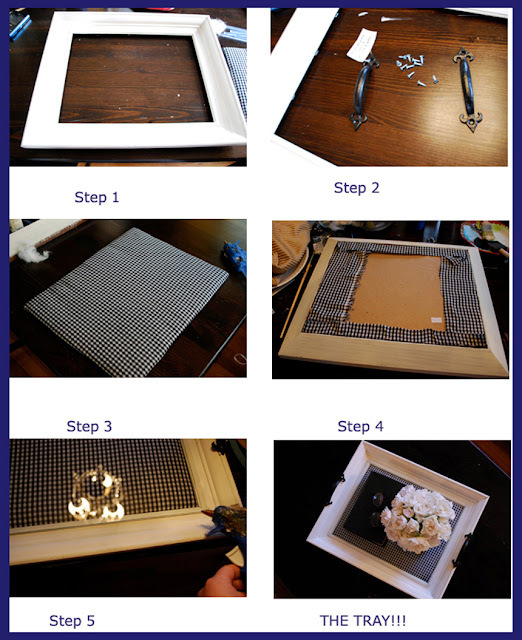 If you have an old photo frame which you no longer use, ask kiddo to paint it to make it look fresh and new. Pick up a pair of lovely, intricately carved, cast iron handles and attach them to the edges with shallow screws. And in that picture insert, use a fabric which you would like to use as the base of your tray. Just stick it onto the cardboard using some glue/ good adhesive. Finally, add a glass. That will prevent the fabric below from getting soiled and also make the tray much sturdier. If you have a discarded frame at home, the tray will not cost you more than $3-5, depending upon the handles and the glass you choose for it and your kid will be so happy to have made something for his mom! 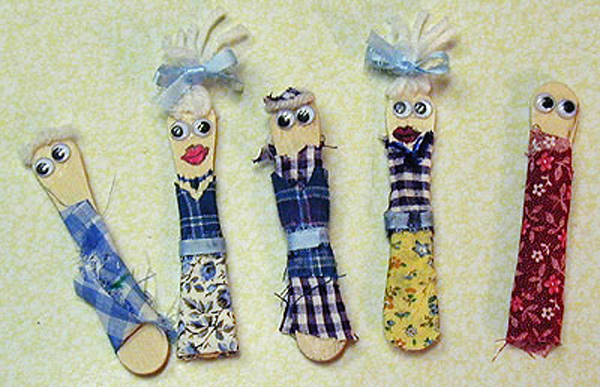 Make some cute looking bookmarks for your grandparents using popsicle sticks, wiggly eyes, glue, felt tip pens and the bits and pieces of fabrics you can find in your mom’s DIY kit. 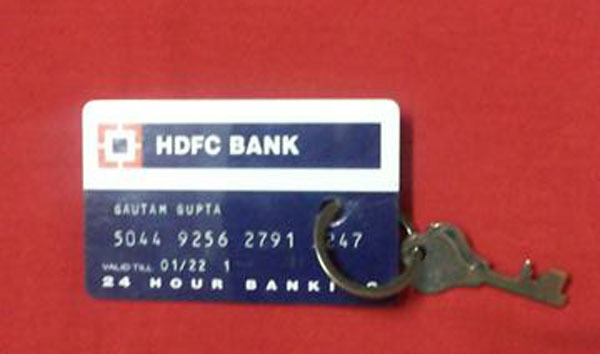 A 11 year old son made this key holder, using his dad’s old credit card. He simply punched a hole in the expired card, run an old ring through it. And yeah! You have a cool key chain out of waste credit card. 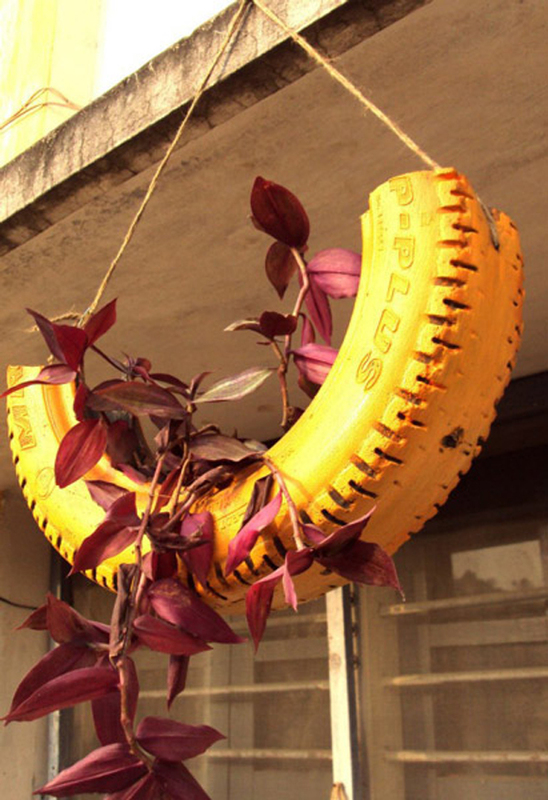 If you have some old tires rotting up in a corner of your garage, cut them and paint them and make very creative planters to hang down your balcony. Put together all the buttons in your mom’s or grandma’s sewing kit and use a cord to make a beautiful bracelet out of them. 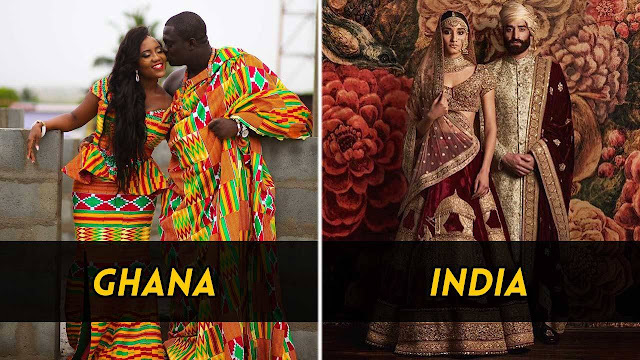 You can even gift them to friends on Friendship Day or simply as a token of love for your sis. A hand crafted thing always holds a special charm. This is one best out of waste for kids, which adults are sure to like too. 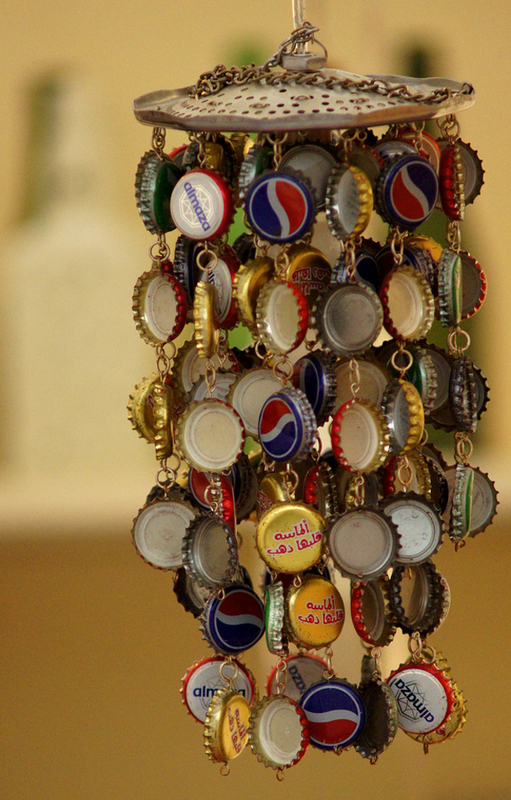 You could use a cord to hold together old bottle caps and hand them together an old, perforated disc, etc., to create wonderful, melodious wind chime for your backyard. Let your creative juices flow and make a cool wall hanging in your kids’ room using an old tennis ball. Just see how many fantastic things you can create out of a simple ball. 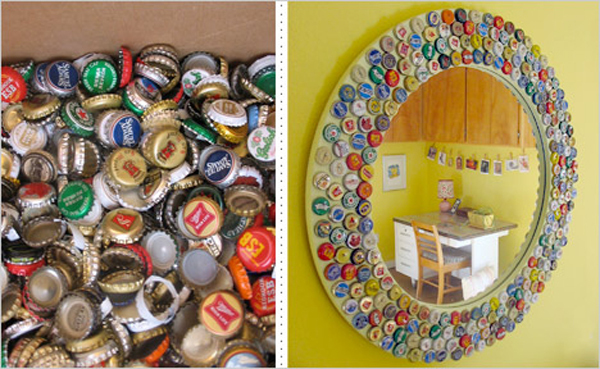 Collect lots of bottle caps. Just ask your mom not to throw the caps away each time she opens a bottle of cold drinks. Once you have about 100 of them, paint them all in 3 different colors and arrange them in a mosaic to make an attractive mirror like this for your room. 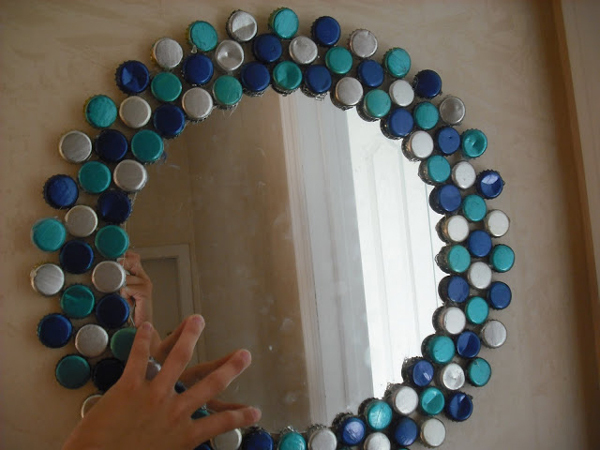 This is one of the Idea to create a better wall mirror using the waste old bottle caps. You could even gift it to your elder sibling for his hostel room. I am sure he/ she will love you for this. If boys do not quite like the mirror, we have shown above and want something more flashy and colorful in their room, they can try something like this in their room. 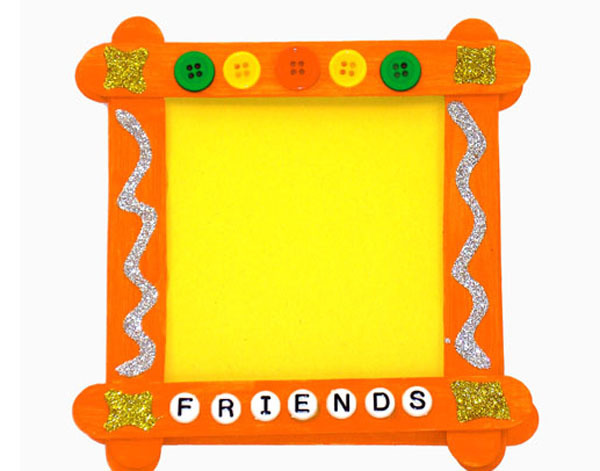 Use 4- 8 popsicle sticks to make this super cute picture frame for your room by sticking 2 of them along each edge on a 9” X 12” sheet of paper with glue. You can paint different patterns on the sticks to make your frame look extraordinary. I have used only 4 sticks here. You can use any number of them for the frame you make. We hope these wonderful ideas will give you and your kids some inspiration to create some wonderful and creative crafts, making the best out of waste things lying around the home. If you have more ideas for putting waste stuff to use, please share them with us on our Facebook page Dafcuk, we will add them with your credit on Dafcuk blog.